It enables interoperability with TRON-based protocols and Decentralised Applications (DApps) while allowing users to transact and exchange fiat pegged currencies across the TRON Network. 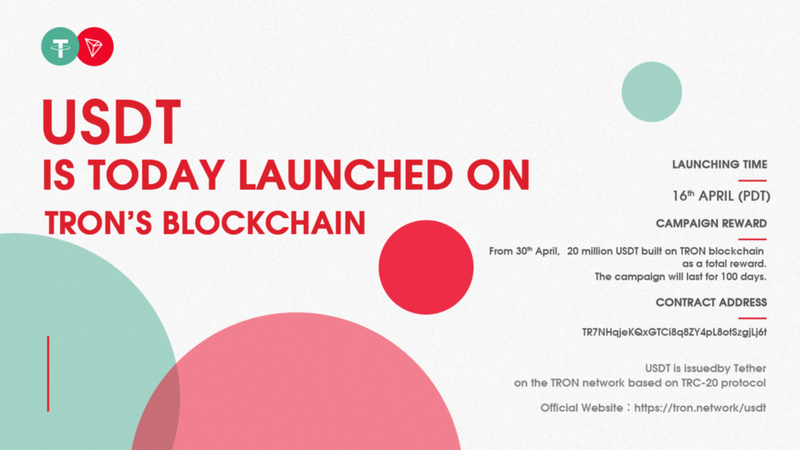 TRON will reward TRC20 based USDT holders with 20 million USDT for 100 days. 4. Gigantic prize pool: based on the current total amount of USDT, the total giveaway will be $20 million and there is no cap if there are special circumstances.